The Silver Britannia has always offered beauty and reliability, and this newest release is no exception. Two well-known images in Britain’s history, Britannia and Queen Elizabeth II, grace the opposing sides of this 2019 Silver Britannia. Britannia remains an enduring symbol of British pride, and coins bearing her image are coveted for their quality and beauty. 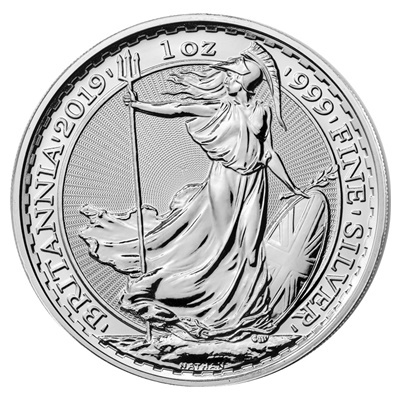 The Brilliant Uncirculated Britannia coin for 2019, struck in one ounce of fine silver, bears Philip Nathan’s interpretation of Britannia – a constant classic. 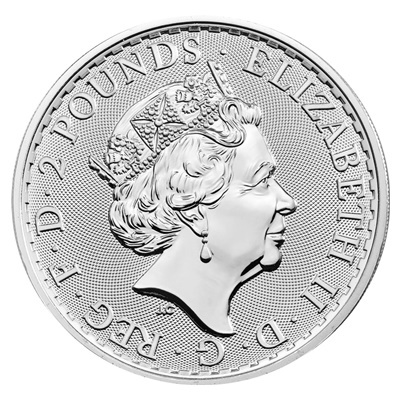 Obverse: Displays the 5th effigy of Her Majesty Queen Elizabeth II, along with the face value of 2 pounds. Features The Royal Mint's guilloché obverse design. 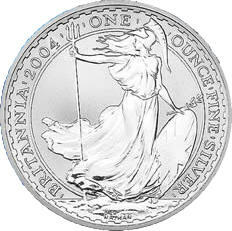 Reverse: The legendary figure of Britannia holding a trident and shield. Her image has symbolised Britain’s strength and integrity on coinage since Roman times.